March 2018 Minutes : East-Hills Business Association Inc.
Melissa thanked everyone who attended today’s meeting. There were 28 members present at March’s luncheon. Melissa introduced herself and the other chair members. Thank you to Flair of Country for hosting us. Last months free lunch winner was Kim Volk. She was not present at March’s meeting. Our current treasurer report was $3,605.59. 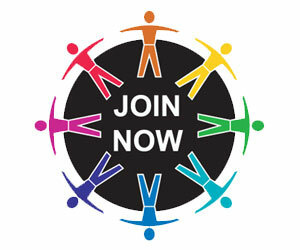 We want to keep inviting new members to our monthly meetings. We are enjoying seeing so many new faces and meeting current business’s in our area. Please remember that each month for the meetings to RSVP so that we can have a correct count for lunch. 30 second commercials of all members present. Candy bars were handed out today to all members who signed up. There are 20 candy bars in each bag that need to be sold for $1.50 each. Members who signed up and did not make it to the lunch this month were contacted to pick up their bag at the Holiday Inn Express and ask Melissa for their bag. Candy money is due next month, if not already paid in advance. PLEASE, we cannot stress how important it is to RSVP for lunch. We love that everyone is coming to enjoy our meetings, but we will not be able to supply all the food if we do not know in advance how many are coming. Motion to donate $50.00 to Community Action Partnership of Cambria County, motion approved by Chris Cameron and Melinda Novak. Motion to donate $50.00 to Habitat for Hounds, motion approved by Larry Crespo. Majority ruled in favor. Susan Henry from Richland Cemetery Association suggested that on East Hills Business Association behalf that we set up a scholarship for some student in the East Hills area who volunteers and contributes to the community. We discussed that this would be an excellent idea but need to figure out how to get it set up. We have invited a representative from Community Foundations for the Alleghenies to our next meeting to give us ideas on how to go about it. Our guest speaker this month was Larry Crespo, current member of EHBA, speaking as a representative from Laurel Highlands Fellowship of Christian Athletes. This organization’s mission to have kids and teenagers play sports and grow deeper in faith with God. They help to influence, equip, and mobilize athletes and coaches to be Christ-centered influence’s in their schools and community. Motion to donate $50.00 to FCA, approved by Stan Haberkorn and Chris Cameron. April’s luncheon will not have a guest speaker. This will be a business meeting only. It will be held on April 19th, 2018 at Noon. Next month’s free lunch winner is Carol Licastro and 50/50 winner was Stan Haberkorn. Motion to adjourn, Josh Yoder and Jeff Vaughn.